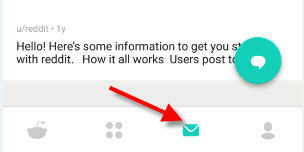 Unlike comments, Private Messages or PMs on Reddit are seen only by the user the message is addressed to. Sending a PM on Reddit can be done in few easy steps. This article will discuss how to send PM on Reddit. An account with Reddit is required before a PM could be sent to a user. Once you login to Reddit, follow these steps to send a PM. Also, ensure your window is maximized to be able to see all the options. Relevant screenshot given below. 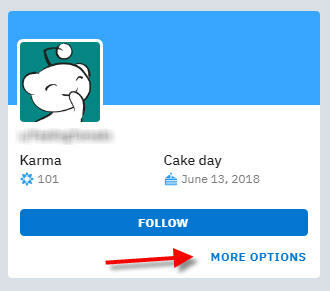 Click on the Reddit username for any user you wish to send a PM to. Usernames on Reddit are identified as u/username. Click on the More Options link. Enter the Subject and the Message text and click Send. 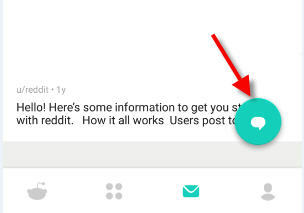 Once you have the Reddit Android app open, follow these steps to send a PM. You need to be logged in to your Reddit account to send a PM. Screenshot given below. Tap on the username of the user you wish to PM. Tap on the floating compose icon. The app will auto populate the username. Enter the subject and message and tap on Send. Alternatively, you can tap on the message icon at the bottom of the screen and then tap on the floating compose icon. For this method, you will need to know the username ahead of time as Reddit will not auto populate it. Screenshot given below.